We sat down with screen printing legend Scott Fresener at ISS Long Beach for an insightful interview. If you don't know who Scott Fresener is, you probably know his company T-Biz Network – and you certainly know someone who's read his famous book How to Print T-Shirts for Fun and Profit. Written in 1979, updated over twenty editions, and still a valuable standby for starting off, Scott Fresener is undeniably responsible for getting hundreds of screen printing businesses up and running. Since then, he's focused on consultation work and developing T-Seps to help automate and simplify color separations for screen printing. Scott tells us that the most important thing is keep moving forward and making the best decisions you can. "I'm on Scott 4.0 right now. I've made millions and lost millions. You have to move on. The past is the past. You make one decision today – and a year later it can catch up to you. You need to stand back and analyze your decisions. Make sure some facts are involved. The ultimate entrepreneur feels like failure is never an option." An automatic press introduces a lot of complexity to your shop. Your ability to execute orders grows – but so does your ability to completely ruin hundreds of garments. Scott advises owners to institute minimums and have a strong backbone for saying no to customers before you get your first automatic press. Choosing the right jobs will make this process easier – and more profitable. Once you move to your first auto, it's time to start weeding out the unprofitable customers and make choices that will help you pay for your equipment. "Tough one. As an owner-operator, you get caught up in taking every size order. You take junk art and don't charge for setup. I think you have to eventually decide that you'll have minimums and walk from bad orders. The growth has to be orderly. You have to delegate. You can't wear every hat. Have procedures. An SOP book. Get organized. I'm a Virgo, so I'm very organized. I'm a spreadsheet guy. I like numbers, I like to crunch them. When you grow to your first automatic, you better have systems and procedures in place. You are not going to be everything to everyone. You have to take jobs that are profitable for you." A strong sense of what your business is, who your target customers are, and strong standard procedures will make the process much smoother. It isn't something to leap in to and leave to chance. Should employees care about details – or the big picture? There's no magic trick here. You have to hire and fire fast. "We had 90 employees at one time. I've hired a lot of employees. I did the interviewing, hired them all myself. It's difficult. You really don't know until they go to work. I'm not from the era of looking at their Facebook page and following their posts. I have a very low tolerance for people looking at their phones. You have to find people that are passionate. Support guys were the front line. I looked for people skills. I haven't got a great answer for that – I've hired and fired a lot. I was always quick to cut my losses. If they're not listening to training, not coachable – I was not the guy to say let's stick with them. The axe fell quickly and we just move on." You won't know how good of a fit they'll be for your print shop's culture until they're actually in your shop and doing the work. So while you absolutely need to give different people chances to work for you, you've also got to be fairly merciless about eliminating people that aren't a good fit. Not every print shop owner is ambitious and willing to take a risk. But if you want to grow your clientele, you have to stretch your capabilities and take on orders that you think are above your shop's abilities. These can be tremendous learning opportunities – and can become the key to growth. "Passing on a job that could be a big potential job. You're insecure. You can't handle the order. Put on your thinking cap. Find someone who can contract print it. The entrepreneur in me wants to take any job that's big and worthy. Some people won't even make the call to a big company. I was never afraid to walk in a door and say, 'I'm your guy! What can we do?' and then worry about how to print the order later. Maybe that's a mistake." Scott suggests confidently offering solutions to your customers. 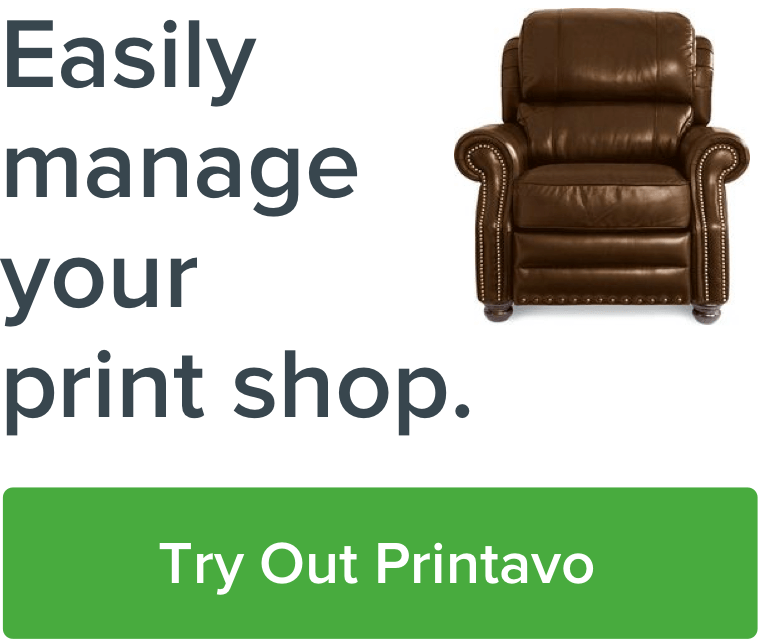 Work out the exact details for how to print the order later. You can always contract the job out if you discover that it really is beyond your shop's capabilities! "The shirts will tell me their quality. The cleanliness of the shop. The organization. I've done a lot of consulting. You walk into a shop and you immediately find out the problem is the person that hired you. Or maybe it's the screen room. You've got a stubborn screen person that's been there for years. Maybe nobody had the guts to say, 'It's time to get somebody else here.' If you walk into an ink room and it's nice and tidy, it tells you a lot about the company. Sometimes the boss is the bad guy no matter what." When he's consulting, he'll often ask for print samples as a way to determine if the shop is up to par – and then will diagnose other issues as he develops a relationship with the screen printing shop. Pricing your screen printing is hands-down the largest and most challenging unknown issue in this industry. Whether you're working out of your garage or have several automatic presses, your pricing likely relies more on external market forces than you actually recognize. "I have a different view on pricing. It's hard to know your own costs. The market dictates the price. If your overhead is way high and you have to price high, then you're doing it wrong. The market dictates price! You may disagree – but a small shop that isn't busy every day and does 100 shirts here and 500 shirts there. It's hard to peg a number on your pricing then! You need to adjust and see where the market is. I feel that your competition is often Custom Ink. Not that you need to compete with them. But they're driving what the customer sees. The market tells you where the pricing needs to be within reason." Scott uses the example of a small shop that has an uneven distribution of jobs throughout the years. This is really common – so determining your exact costs and overhead is a real challenge. Scott also makes an amazing point about Custom Ink: they're what the customer sees. Because of their visibility and size, they set the unwritten standards for the entire industry. This is much like Amazon and shipping – customers now expect shipping to be free or extremely low cost, even if the cost is just baked into the price of the goods they're purchasing. You don't need to worship Custom Ink – just be aware that they're setting your customers' expectations. Custom Ink does something similar with screen and art fees. They are simply part of the entire price, and not noted as a line item on a customer's receipt. Shop owners need to think about how to communicate about pricing as much as they need to think about the actual price the customer pays. The market does a lot of the work – you have to find your sweet spot in your own local market and revisit pricing early and often. Don't focus too much on social media. Yes, Instagram and Facebook are great tools. But there is still plenty of value in getting face-to-face with your customers. Identify who you want to sell to. Set ambitious goals and make plans to execute. Get in touch with the right people at each business – they could be HR, they could be marketers, they could be union leaders. Build a real sales pipeline. How robust is your sales pipeline? Building a system to keep your customers in order is essential. Don't be afraid to ask. You may be pleasantly surprised to find that brands you want to print for need your services. So ask first! "I'm old school. I think everybody wants to focus on social media. I'm ok with all of that. But if somebody goes to your website and they don't like it, they don't tell you – they just don't come back. I'm a big fan of facetime. Going out, making calls, meeting in person. Go after companies you want to work with. Look in your market for accounts you want to have. Go out and talk to them. Leave them a shirt. Hound them. The average owner-operator doesn't do that – you have to build your pipeline. Target them and say, how can I get this account? You never know until you ask." Production bottlenecks kill screen printing businesses. Where does the inefficiency start? With bad art and bad screen room processes. "Usually it starts with art, separations, and screens. The bottleneck starts there. Bad decisions made somewhere. People dictating wrong mesh counts. Screw-ups. Orders not written out. Not being sure what you did last time. No documentation. Being that Virgo personality, it drives me nuts. You have to document everything. That stops a lot of the questions and mistakes." Scott urges you to develop robust documentation so you can track and analyze where things go wrong. The documentation also helps reduce unnecessary downtime spent communicating about problems and talking to customers about reprints. It's not so easy to find accurate info from professionals when you're starting out. That's why Scott wrote his book. He also runs the T-Shirt Boards, a long-time internet community for screen printing, embroidery, and all aspects of custom apparel printing. Download Scott's seminal book about how to print custom t-shirts with coupon code HTPFREE right here! Keep moving forward. Don't get too emotionally high or too low – just keep progressing toward your goal and making the best decisions you can. Take the right jobs. Saying no to bad jobs is really important. Small jobs can kill your business. Cut your losses quickly. If an employee doesn't work out, cut your losses and move forward. Document, document, document. Great documentation makes for smoother processes and better prints. Get your screen room dialed in. This is the Achilles' heel for too many print shops. The market determines prices. There's a range of prices you can charge. Find what your market can support through trial and error. Be ambitious in finding your next customer. Don't be afraid to offer solutions and take on jobs that are ambitious. You never know what could happen! Find and utilize trusted sources for advice. Make sure the advice you're getting is from the people who really know – not just someone on a Facebook group. A huge thank you to Scott Fresener for sitting down with us at ISS Long Beach and sharing his knowledge. This is the first in a series of interviews with high-profile screen printers and shop owners. We've asked them for insights into growth, hiring, printing, pricing, and production. The level of truly valuable information in these interviews is astonishing. Be sure to watch our YouTube channel for the latest videos and interviews!